If the order is big enough, then the shipping is free. That's how I used mine, from Down Under. Helps if there are a few other players in the country who can pool orders. Does your store stock the entire IWM catalog, including online exclusives like BA, and (usually) fan-funded 'Mechs? If not, there's a gap in your ability to purchase product. I applaud supporting your local store, and sympathize with shipping costs to non-US countries (just to get north of the border shipping often ends up being about 25% of my purchase costs). Sometimes though, you have to bite the bullet if what you want is coming from the US. You'll have to know what your store can get versus what IWM has in order to target your order most effectively, but the occasional order may still be worthwhile. Store? Store, he laughs? Been ten years or so since any of the game distributors stocked IWM minis here. Transparency - when I can pay $55USD for minis from IWM, or 6 pounds from RPE, who reasonably frequently give discount codes, smaller orders come from Europe. I save up for the things RPE aren't carrying yet; fortunately we do have Feenix74, who is an IWM dealer in Australia, so me and the Queenslanders can work up a good collective order every so often. Should I have quoted Domi to be more clear that I was responding to him? WT, you made no mention of having a local store, so I don't know why you'd react to my comment that way. Don't worry. I think that it was a general comment that uses your post as a stepping stone. 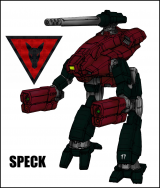 For perspective, in my country there aren't any stores that 'stock' Battletech minis (and I have looked), in the past I ordered them from a german seller and then meet up with them at conventions (no shipping cost then). But since that time even my german seller has started to reduce their BT inventory, so I am now ordering from IWM on a yearly basis. To answer on behalf of Mr Worktroll, there are very few gaming stores left here in Australia that carry CGL sourcebooks or IWM minis. I know of one in Sydney (3 hours up the highway) that carries a handful of CGL sourcebooks and I have yet to find one that carries IWM minis. Hence the reason I took it upon myself to become a miniature pewter arms dealer in my spare time - which has been very limited this year due to work commitment and family issues. Note for Mods/Admins - the italicised line is an attempt at humour and not an attempt to solicit a sale or trade in contravention of Rule 10. It doesn't look like the full line to me. They appear to have 2/3 of the Celestials. They are missing the online exclusive ones or the parts. That might well be. Jihad is mostly rejected by German players. Clans already have a hard time. But if you phone them they will get you everything you want. I order mostly via phone since there is always something that is recdently publish and I have to ask if its already in stock. But these guys are awesome and very kind. It's hard to argue with a store that actually offers good service to its customers. All I can really point out is that you appear to pay a premium for their service. I looked at the Rogue Bear BA as a random, easy example. 1 euro, or $1 US from IWM for the same mini. With a quick check on exchange rates, it appears that 1 Euro is currently about $1.19 US. On most orders, that probably isn't enough to justify ordering from IWM. On the other hand, for a rare order placed to use up a contribution to a FF project, you're likely to break even. It also doesn't hurt to send Speck or even Mike an email to ask if they'd waive or reduce the shipping cost on the order. If it's a large contribution, they might do it, though I will not make any promises for them. Well, in this case I will have to check if a FF mini that I really really want needs those extra bucks to get made. Because currently I have to import these cause my gameshop wont offer them unless its official IWM stuff. They told me that they are kinda afraid about legal stuff because they don´t know who has a license to offer these. Pretty sure FPG has an official license to make the decals. Ray would know for sure. There is nothing I can do, the way Fan Funding is set up now what you pay towards the sculpt is given in store credit to the IWM online store. Only thing I can say is do what many international people have done and wait until you can do a order large enough that qualifies for free shipping or combine with other people to get to the require amount. My understanding is that a certain bloke by the name of Ray Arrastia (aka Adrian Gideon here) is/was involved with designing the decals for Fighting Piranha. 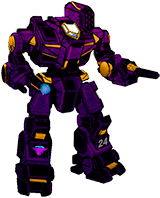 So if you drop Ray an email at ray@catalystgamelabs.com he might be able to give you a "ruling" as the Catalyst Games Lab Battletech Assistance Line Developer on the how official the Fighting Piranha decals are . 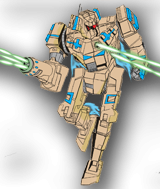 . .
Fighting Piranha Graphics is licenced by CGL to produce official decals based on the BattleTech Universe. They're a totally separate company - technically a totally separate guy, who isn't Ray. Ray doesn't have any role in FPG fulfilment any more. Given the small size of the BT sales base, odds are the guy involved runs off customer needs as "just in time" once he gets an order. IWM would have little reason to try and stock a range of decals, I imagine. 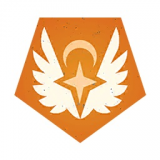 At the same time, carrying (including but not limited to) basic decals for each Great House, Star League, Invading Clans, and the most popular mercenaries (Dragoons, Highlanders, Kell Hounds, Gray Death Legion) might be something they could afford to do. I know I'd pick up a few, or have the local game store order them. It'd be significantly less hassle than going through FPG myself. If I recall correctly, Ray's involvement with FPG was in the realm of making art. The other guy, whose name escapes me, does the production. Nice dude; big guy with a big beard and a shaved head. I accidentally got a picture of him while trying to get a pic of the giant stack of Dragonfire boxes in the booth at GenCon! Anyway, I don't know if the game store will believe you, but you can tell them that IWM sells FPG decals out of their booth at conventions. They have two or three plastic containers full of them that you can dig through and buy right along side their minis. So, IWM doesn't make them, but they do resell them. All I did with the Fan-funding was to back a large amount or backed several of them. The credit doesnt expire and once I was over the limit for free shipping I put in an order plus some extra items as well.